You are currently browsing articles tagged China. What a joy to be in the same room with the world’s foremost experts on LED technology at the LED Forum held recently in Guanzhou, China (February 2012). They were all there – CREE, Philips, OSRAM, GE…. 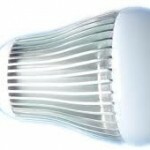 and all were upbeat about prospects for LED lighting in the year ahead. Great technological strides have been made and product upgrades are imminent for most of these manufacturers. Current lumen output per watt (l/w) will rise to well over 100l/watt in production led lights from the current average of less than 80l/w. That is good news, but it gets better with significant reductions in the cost per lumen too. Take CREE for example – the cost of their technology is less than 10% today of what it was 6 years ago. 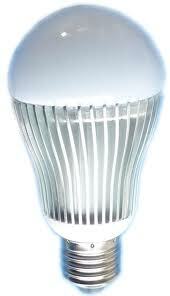 At the same time lumens per watt have increased from less than 50 to over 100 today. Extraordinary! It’s much the same for Philips, Osram and GE. This all bodes well for the adoption of the technology by more and more people. In his book, Crossing the Chasm (which focuses on the understanding of new technology adoption), Geoffrey Moore notes that the key to the success of any new technology is getting across the gap between the early adopters and the mainstream users. There are now signs that this is happening given the demand statistics in the industry. This will further power the quest for more lumens at less cost and is responsible for the mega R&D budgets in play at these key manufacturers. Take CREE for example with its $100m R&D budget in 2011! Expect some significant new LED light offerings in 2012… and to back all of this up… Philips is now estimating a 45% LED penetration rate by 2016…. very much in line with GE’s forecast of 80% by 2020.